The XS Latin Planets team opened the Adult Championship final. Confidence was high after winning the WDC Europeans a few weeks earlier and the performance wasn’t to disappoint; it was the cleanest performance of The Planets so far. XS Latin Cambridge drew last in this final. Having won the Championship for the last six years, the team were keen to retain their title. The routine, though not as polished as the team danced in Emsdetten, was full of energy and attack and secured the team it’s seventh consecutive UK title. Two dancers, William Grover and Lydia Turner, made their competitive debut for XS A in this Championship winning performance. XS Latin Planets were delighted to finish as vice-Champions, with LJDC Adult Team proving the impact this new school has made to place third. The Junior 4 Couple Championship was dominated by Dance Crazy, from South Wales, who had three of the top four teams in the competition. Dance Crazy Bodyguard Team won the Championship with an excellent and polished performance. The LJDC Prestige Team, also from Wales, demonstrated a huge improvement since the Northern Masters competition to secure a very good second place. The highest placed English team were Dance With Passion, who offered a most entertaining performance of their quirky and clever Circus routine to finish fifth. The Juvenile 8 Couple Championship was won by the Dance Crazy Juvenile team. Wales once again took all of the top spots with the KLA Sister Act Team placing second. The KLA school, like the LJDC, have made a significant impact on the British formation scene in their first year. Dance Crazy crowned a wonderful day for the school by winning the bronze medal with their Mary Poppins team. 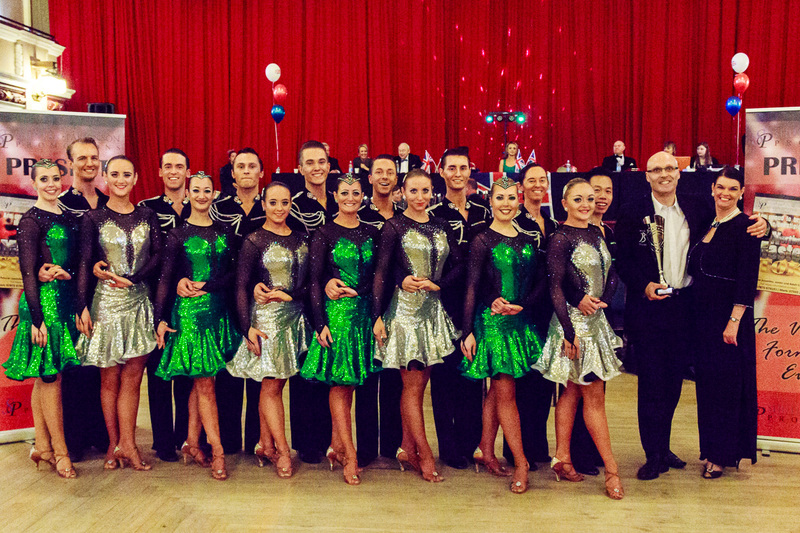 XS Latin would like to thank the organisers, Jason Parkinson and Mark Shutlar, for all their hard work in promoting formation dancing in the UK, and their sponsors Ballroom Bling for their continuing support of the club.